Designing a Solar Charger (Lesson 4) | CE - Clean Energy. Bright Futures. In this lesson, students will further explore the potential and challenges related to using photovoltaics to supplement the power needed to charge batteries in BEVs. Students will be provided with a 12 V lead-acid battery and several 3 V, 1.5 A solar modules. 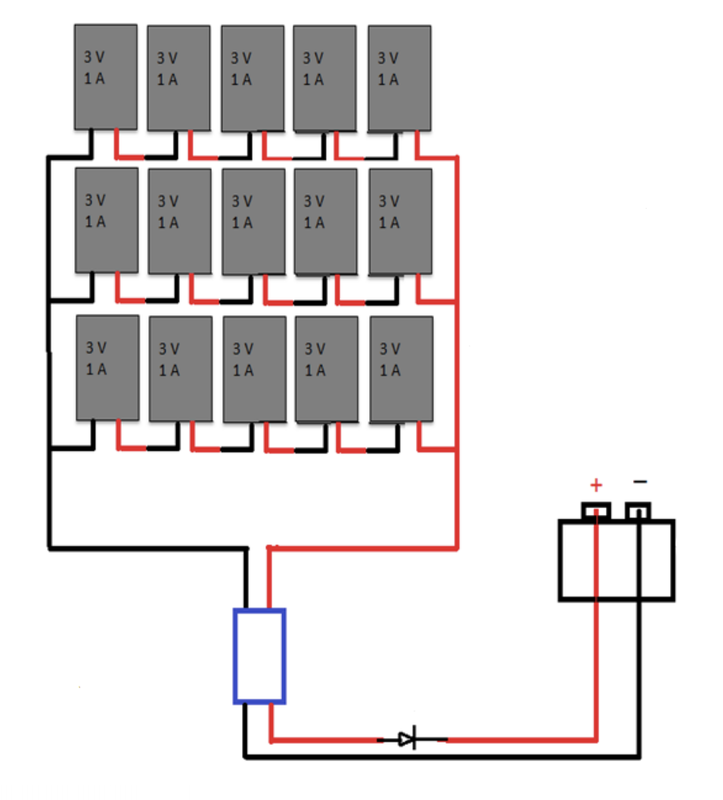 Students will design a system of wiring the modules together as a means to charge the available battery. Students will then test their plan by wiring and connecting their modules to a “Watts-Up” energy meter, and ultimately, to the lead acid battery. Students will predict the accumulated charge over a 5-hour period based on the wiring strategy and compare their prediction to the actual energy supplied as determined by the Watts-Up meter. The following day, students will make predictions regarding the amount of time various items can be powered by the accumulated charge.